At your job, attention to details matter. It makes a difference in your product, your pride in your work, and now, even your comfort. 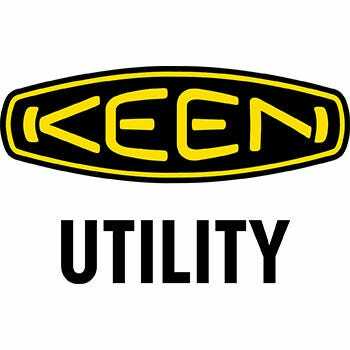 KEEN Utility zzzzzzfootwear has built a reputation for comfort and durability in recreational shoes, thanks to their attention to d ... (see full details) (see specifications) #1007969. At your job, attention to details matter. It makes a difference in your product, your pride in your work, and now, even your comfort. KEEN Utility zzzzzzfootwear has built a reputation for comfort and durability in recreational shoes, thanks to their attention to detail, and that expertise is being rolled into an exciting line up of comfortable work shoes as well. When you pay attention to the details, you get a better outcome, right? Right. Let these KEEN Utility 1007969 Louisville 6-Inch men’s met guard steel toe boots provide you with the foot comfort and safety you need to get through your day so your mind is free to focus on the details of your job. These men's met guard not only have details added to extend the life of the work footwear but also features like anatomically-shaped footbeds and asymmetrical toe caps for the right fit for your feet. These safety certified heavy-duty steel toe boots are ready and waiting to prove that tough can be comfortable, too. Inside, KEEN Utility's ability to comfort and support your feet will be undeniable. The removable Metatomical footbeds cradle your feet with ergonomically designed contours and added arch support for the best in cushion you’ll find. Meanwhile, the compression molded EVA midsoles are hard at work beneath these footbeds to reduce the stress of impact on your feet. Less foot stress means less fatigue and more stamina at the end of the day, which is always nice! The TPU shanks are lightweight and flexible, adding stability to each step you take and adding a little more arch protection when using shovels or climbing ladders. Both of these tasks will be even easier, by the way, thanks to the 90-degree heels on the durable outsoles. These oil- and slip-resistant rubber outsoles are also non-marking for when you’re walking around inside. They're slip-resistant, meeting ASTM F1677-96 Mark II standards. The asymmetrical left and right steel toe caps are roomier and better fitting for your feet than a standard toe cap. These men’s met guard work boots meet ASTM F2412-11 and F2413011 I/75 C/75 EH and MT75 standards for job site safety in some of the toughest conditions. These tough metatarsal guard KEEN Utility boots are made for the toughest of jobs. The heavy-duty leather is supported in high-wear areas with added rubber guards and backed with KEEN.Dry for breathable waterproofing, so whatever you have to walk through doesn’t come home with you at the end of the day. The abrasion-resistant Tough-Tec Leather on the upper is made from the toughest cut of hide. The locking metal hooks and lacing eyelets on these 6-inch Louisville boots are also made to last so a little heat, dirt, mud, and more won’t get you down. The internal metatarsal guards can’t be seen from the outside but provide a very important protection to the top of your feet. The patented KEEN.Protect toe guard is a classic Keen Utility style that adds more life and less wear to this vulnerable area of your men's brown leather boots, while the extended and flexible toe protection allows you to move freely while you work and enjoy the added protection for your men's footwear. For highly durable, hardworking met guard boots with all of the support and comforts you need, choose the brand that pays attention to details to bring you the long-lasting and comfortable KEEN Utility 1007969 Louisville 6-Inch men’s met guard work boots from Working Person's Store. KEEN Utility 1007969 Men's Louisville Met Guard Boots is being added to your cart.